It seems like the blink of an eye, but 2005 marked the 20th Anniversary of our MIOBC class. Because we have scattered to the four winds, an in-person reunion is probably not practical. (Perhaps a 30th Anniversary meeting somewhere?) So I decided to host a "virtual reunion" on my web site. If you have phone numbers or e-mail addresses of any of our classmates please e-mail me, and send them this URL! I got off active duty in 1985. Went to work for Transamerica Insurance as a computer programmer. Stayed in a USAR unit for most of 1980s and then went IMA, then IRR. Last did duty in 1991 with 6th USAITAAS. Honorably discharged with rank of Captain in 2000. Still working as a computer programmer. Missed both Iraq conflicts as well as Afghanistan, Grenada, Panama, Somalia, Kosovo, etc. but was always ready to defend the US of A. I now enjoying hiking and the outdoors. Involved in local Presbyterian Church. Boring is good. I spoke with Don in June of Aught Five. Don told me that after OBC, he worked as an engineer for Pratt and Whitney for about10 years. He then went to work for a small electronics manufacturing firm, where he is now a senior engineer. Don still lives and works in Connecticut. Following graduating MIOBC I served as the Asst. S2 and S2 2nd Bde 2ID. I then went on to serve as the 1st GSR Plt Ldr, 102 MI BN, 2ID. While serving as Plt Ldr I was involved in a DMZ shooting incident. Thankfully no loss of life resulted from it. Following my stint in Korea I was transferred to the 1st AD and served as Ast G2 Ops, Chief of Intelligence Production, Division Electronic Warfare Officer and Ast G2 Plans. 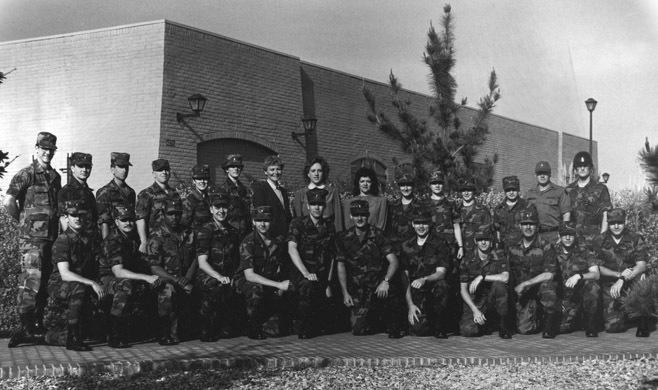 Following the fall of the Berlin Wall I was picked up for command and spent four years at the National Training Center as a Company Commander in the Foreign Military Intelligence Battalion, with responsibility for serving as Technical Intelligence Adviser to CDR NTC and Chief of Foreign Weapons and Vehicle training for the installation. 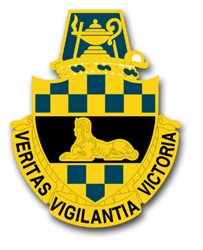 During my time in command my company was deployed to support XVIII Corps during the Gulf War providing technical intelligence support for the Corps. Following my tour in the Gulf, and at the NTC, I was selected for a Joint Assignment and served as Command Briefing Officer, Intelligence Watch Officer, and Chief of Counter Proliferation and Weapons of Mass Destruction, United States Pacific Command. Following that assignment I was selected to serve as G2 Ops, 10th Mountain Division. During that assignment I had to take a medical retirement due to a catestrophic illness stemming from previous exposure to nerve agent I handled during the 1st Gulf War. Following extensive rehabilitation, autoimmune treatment and steroidal therapy I, recovered and went on to serve in the civilian sector as Chief of Intelligence Training for the Saudi Arabian National Guard Modernization Program, Chief of Training for the JSIMS Joint simulations training program, and Lead Trainer and Systems Analyst for the United States, State Department ICZ program in the Republic of India and Mexico. Due to encephalitis I contracted in Mexico working on the ICZ program I suffered further injury and required additional treatment and rehabilitation to regain motor neurological function and speech skills. Following partial recovery I went on to work as a lead analyst supporting Operation Iraqi Freedom out of the Joint Analysis Center Molesworth England and as a Senior Systems Engineer. However, I continued to experience bouts of encephalitis and had to return to the United States for treatment. Following a protracted work up by the best specialists available I underwent successful treatment for the reoccurring encephalitis I contracted and I returned home to undergo rehabilitation therapy. All current medical work-ups, fortunately, indicate that I have been cured of the encephalitis I picked up in Mexico. I currently work as a corporate security trainer for one of the fortune 500 companies. I am married, have one child, two dogs and a cat. Given all that I have been through, I put a lot of stock in the almighty and have become quite active in Church. I am currently pursuing a Masters Degree and am doing quite well overall. John contacted me via e-mail in 2006. I am still with the Portland [Oregon] Police Bureau (my 25th year!). I will retire next year. I currently am an investigator in the Drug & Vice Division (this means I get to wear jeans to work ;-). I've done major stints as a gang intelligence officer and domestic violence investigator. I'm a past attendee at the International Russian Organized Crime Conference. I am a Lifetime Certified Criminal Analyst (http://www.certifiedanalysts.net/) and past President of the NW Chapter (AK,WA,OR,ID) of the International Association of Law Enforcement Intelligence Analysts. for Panama for a Civil Affairs mission as a Captain overseeing police operations in a county size area helping to train the old army to be police officers. PSYOPS and Civil Affairs are under SOF out of Ft. Bragg. I went to the 104th Training Division for a stint as a G3 Training Officer (got CAS3 done), and then was accepted into the 364th Civil Affairs Brigade. I did the Civil Affairs Advanced Course. In Civil Affairs, I was the A/G2 for four years, then went to Bosnia for almost a year, and then finished as the G6. It was good work as we were at the strategic/operational level. I was the country desk officer Eastern Russia & Mongolia. I'm married with four great kids! My beautiful wife was a political refugee from Poland (Solidarity). She is currently a school teacher teaching ESL. I've had a blessed life! After MIOBC, I went through Jump School--with Stan Ridgley--then on to the 224th MI BN (Aerial Exploitation) at Hunter AAF in Savannah, GA. My daughter was born in 1988, and I resigned my commission in 1989 to be with her. My son was born in 1993 and, when we moved to Utah soon afterwards, I discovered the linguist brigade in the National Guard there. I had been a Russian linguist for my first four years in the Army, and the 142d MI BN (L) effected my recommissioning in 1994. In 1995, I transferred to 19th Special Forces Group (Airborne) as their Assistant S2. After several years in that capacity, I commanded 19th Group's HHC for two years. From there, I became the commander of the Officer Candidate School for the Utah National Guard (2001 - 2004). After graduating three classes, I moved to I Corps Artillery as an assistant G2. I retired with sadness in 2006 as my unit deployed to Afghanistan on an all-male mission. I married Doug Telleson, whom I met in 19th SF, in 1999 and gained four stepchildren. Our six kids are wonderful, but only my son Michael (age 15) is left at home with me. Doug left his AGR position in the Utah Guard in early 2007 to serve with Special Operations Command at MacDill AFB, FL, for what we thought would be a final year-long assignment. However, he was asked to serve an additional six months in Iraq before retiring, and we're hoping that he will return safely to the States on schedule this October. My stepson, Derek (an amazing soldier), is an Infantry second lieutenant, and he deployed to Iraq this past Fourth of July . Interesting how the Internet can bring old classmates together, and I would love to hear from everyone! James W. Rawles: I've spent the past 20 years primarily as a journalist and technical writer. I also found the time to write a novel which just recently went out of print after six years. ("Patriots"--see my main web page : www.rawles.to) I now write/edit a blog on survival topics--SurivivalBlog.com. In 1987, by God's grace I married The Memsahib. Some of you met her when she visited me at Fort Huachuca in the summer of '85. We have since had three children. We are home schooling them. We live out in the boonies, somewhere "West of the Rockies." Our family enjoys hiking, hunting, and target shooting. We are members of a Reformed Baptist church. As part of our charitable works, we send "care packages" to troops deployed overseas. See the banner link to www.anysoldier.com at the bottom of this web page. I took a REDTRAIN TDY tour in Stuttgart, West Germany in 1986, where I worked an operational Guardrail mission with the 2nd M.I. Battalion. 1986 was the year of both the Chernobyl incident and the Berlin disco bombing, and it was before the Soviets withdrew the GSFG from East Germany. So that was a fascinating time to be working a live intel mission. When I was there I spent a weekend visiting with Dave Grogan who was then on the G-2 staff of the 3rd Infantry Division. Stan contacted me via e-mail in May of 2006. He currently teaches business at Temple, University. soccer to be a robust metaphor for European foreign policy." Upon graduation from the MIOBC I was assigned to Fort Huachuca. There I served as EW Staff Officer in Combat Developments, followed by EW Platoon Leader, and then a short stint as the 1st Battalion S-3. Upon completion of the MIOAC, I was stationed with the 10th Mountain Division, where I was the S-2 for 2-87 IN, the G-2 Tactical Surveillance Officer, and Commander of the Co A, 110th MI Bn. While assigned at Fort Drum I was selected for the Army’s Eurasian Foreign Area Officer (FAO) program, which sent me back to DLI for basic Russian, then to the University of Kansas for a MA in Russian and East European studies, and then to Garmisch, GE as a Senior Fellow at the George C. Marshall Center for Eurasian Studies. During this time I spent a number of months in Minsk, Belarus coordinating mil-to-mil contact events. From Garmish, I was assigned to the Pentagon where I served as Presidential Translator for the Moscow-Washington Hotline (MOLINK), J-3, and then Central Asian Desk Officer in J-5, where I coordinated the first ever US/Central Asian mil-to-mil contact programs. I retired from the Army in early 1999. After numerous unsuccessful attempts to find non-DOD related work (I wanted to do something different), I accepted a position as a government contractor providing on-site support and have worked in that capacity since. I’ve provided contract support as OPFOR Intelligence Integrator at JFCOM; UAV Systems Synchronization Officer on the Army staff; a stint in J-7 working international doctrine and interoperability issues; and finally in my present position as a UAV Systems Analyst supporting the USD(I). I spoke on the phone with Hal in early 2006. He told me that he did a three year active duty stint as a JAG officer. Since then he has worked as a prosecuting attorney and more recently as a criminal defense attorney in Florida.